A spoon full of sugar a day? How about 26! 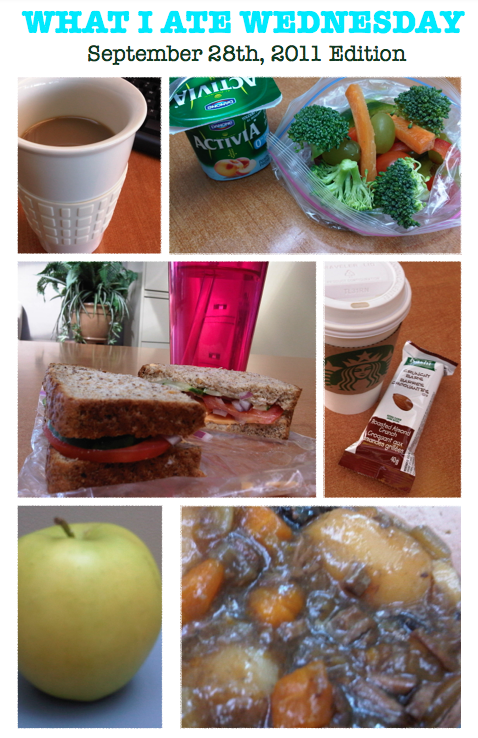 This What I Ate Wednesday (WIAW) I started thinking about my sugar intake. The average amount of sugar that a Canadian takes in on a daily basis is 110 grams of sugar. That’s 26 teaspoons a day! That’s crazy. I’m positive I am the average “Canadian” (I use quotes because I’m an Irish citizen living in Canada) because most of that sugar can be found in my coffee. And then of course you take in sugar with all the natural ways like your grains, fruits, vegetables, milk, and meat products. And all that sugar (if you only have 26 teaspoons) makes up 21.4% of your daily calorie intake. I now think twice about my delicious Non-Fat Salted Caramel Mocha Lattes that I have fallen in love with. Of course, I’m still going to treat myself to them but our relationship will be more of a fling than a committed long term contract! How much sugar do you have daily! ?